The San Diego Foundation announced Tuesday that Kathlyn Mead will join the $660 million nonprofit community foundation as president and chief executive officer. 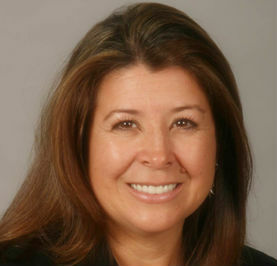 A long-time San Diego community member and resident of Escondido, Mead was previously the chief operating officer of The California Endowment. She succeeds Bob Kelly who will retire this September after 20 years of service. “Throughout her 20-year career as a senior executive in the healthcare industry managing large and complex organizations, Kathlyn has developed hands-on foundation and philanthropy expertise,” said Steve Smith, chairman of the foundation’s board of governors. Prior to The California Endowment, Kathlyn was CEO of the Council of Community Clinics in San Diego, vice president of CalPERS sector for Blue Shield of California, and president and CEO of Sharp Health Plan in San Diego. Founded in 1975, the foundation’s purpose is to promote and increase effective and responsible charitable giving. The foundation manages more than $660 million in assets and has granted more than $876 million to the San Diego region’s nonprofit community.